Welcome to Episode #070. Tonight we are going to talk book keeping and tax preparation. We are joined tonight with our guest host, Brian McCauley of McCauley Designs. When a company sends you tools for review or sponsorship do you claim those as income and write them off or do you not claim them at all? When you have advertising on your vehicle can you write off every mile you drive in that vehicle? How many years can you take a loss as a start up business? Should I keep my business finances separate from my personal finances? Is having a tax id # beneficial for content creators who rely solely on the videos for income, aside from sponsorship money? What can be written off on taxes for business trips? 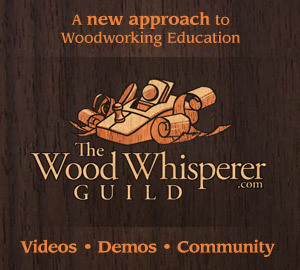 How would you write off woodworking plans & videos on your taxes? The Woodworking Show in Atlanta - 31 March 2017 - 02 April 2017 : We are having a meet up for the weekend. If you would like to support the show you can head over to https://www.woodshop101podcast.com/listen find the show notes for today’s episode and there will be links for small one time donations as well as links for recurring donations. If you are interested in supporting us on patreon, then head over to https://www.patreon.com/woodshop101. HOW CAN YOU REACH BRIAN?